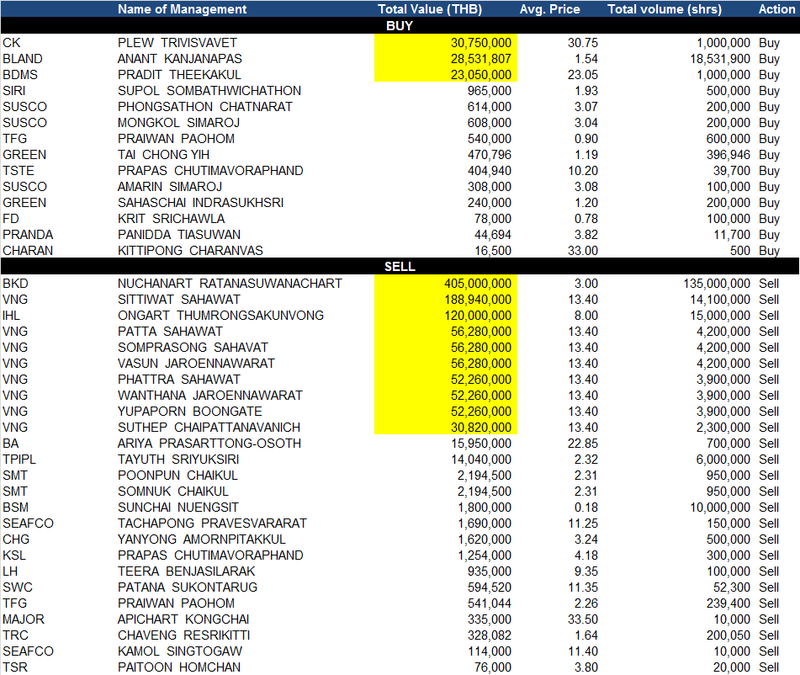 BKD – The MD sells some 10% of total listed shares, to whom? 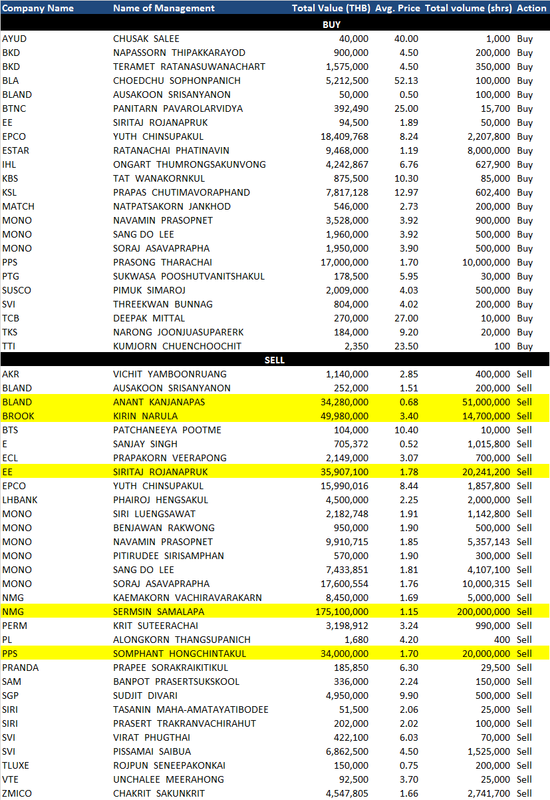 IHL – The CEO sells off ~4% of total listed shares, again to whom? 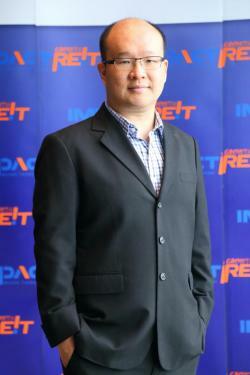 Impact Growth Real Estate Investment Trust, backed by the Impact Exhibition Center and related facilities, began trading on the SET in October 2014. Paul Kanjanapas, managing director of Impact Exhibition Management Co Ltd, the property manager of Impact Growth REIT, discusses the strategy and outlook for the fund and its assets. Which assets are currently in the REIT? We acquired the four freehold assets — Impact Area, Impact Challenger, Impact Exhibition Center and Impact Forum — from Impact Exhibition Management, which is owned by Bangkok Land (BLAND) on Sept 29, 2014. Together they represent the largest exhibition and convention centre in Asean with a total gross area of 481,938 square metres and net lettable area of 165,606 sq m.
We launched the fund with 80% equity and 20% debt and its net asset value as of the end of 2015 was just over 16 billion baht. Our dividend policy is at least 90% of adjusted net profit, paid quarterly to our unit holders. Who are the customers of the assets? We have created something unique in Bangkok as we have the only location that can cater to virtually any type of business. At Impact Arena we have concerts, family shows, incentive events and parties, and the other three sites cater to exhibitions, both business to business and business to consumer, conferences, meetings and banquets. In the third quarter of our 2015-16 financial year, 70% of our clients were from the domestic private sector, 23% public sector and 7% international private sector; however, over 12 months the last group represented 15%. 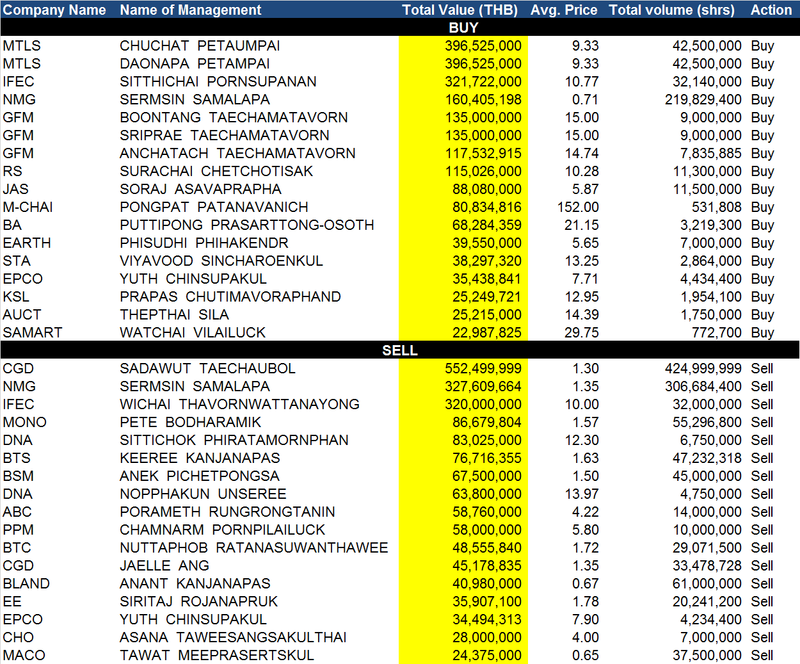 Comment: Perhaps one of the best asset light business models in Thailand today. Comment: Nothing new here, move on. Comment: CTH desperately needs to find a way to make money from its PL licenses, they are still massively in the red, a rather rare miscalculation by the man behind it. Comment: Should the renewable industry be as big as people hope, AKR should at one point receive some of the spillover. Comment: I do think their marketing costs will be higher than analysts expect for the coming quarter. SYNTEC – This “smaller” construction co has been able to increase their project revenues over the past few years consistently. i do worry about their ability to take on larger projects in the future though. WHA – I’ve been hearing rumours the the owner has taken a personal loan to buy the RO shares and is using the recent increase in share price to sell shares. BLAND – With the REIT finally listed plus the fact that they don’t have any other sizeable assets to sell, there isn’t any new catalyst for BLAND to move. BROOK – Brook, one of the oddest companies on the market that no one really trusts. EE- The President sells off a sizable near the peak of the 52 week range – wouldn’t you if your firm was @ 200x PE? 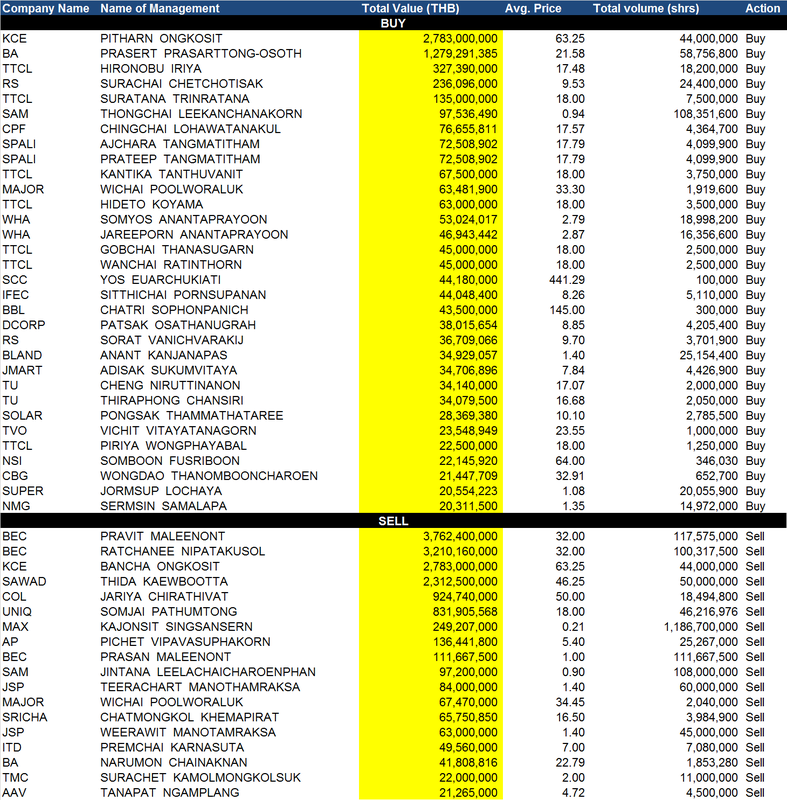 NMG – The size of this transactions make me think its a block trade, to whom I don’t know. Comment: Well done to BBL, as much as we like to say that BBL is the dinosaur in the banking industry, they actually have the most number of foreign branches amongst all thai banks by far. Comment: In reality AOT has to reopen Terminal 2 in Don Muang as well as expanding Suvarnabhumi Airport.